There’s no question that building apartments for low-income seniors takes a high level of both dedication and organization, not to mention an in-depth knowledge of the community, quality resources, and government regulations. 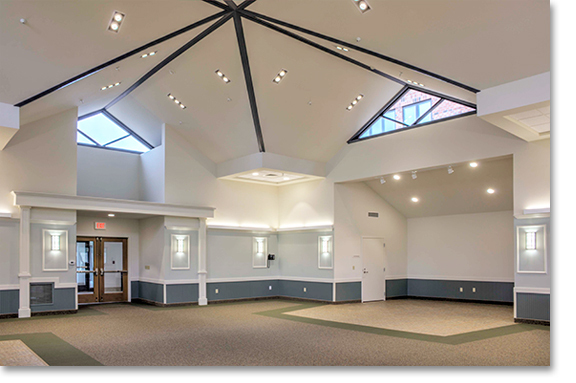 With those requirements, you could say that Luther Village of Dover, Delaware, got pretty lucky when selecting their leader; however, when you ask Ken Richter, Deputy Director, he thinks he’s the lucky one. As a native of the Dover, DE area and Civil Engineer, Ken earned his stripes in the Army Corp of Engineers in Guam. He then enjoyed a robust career working with DELDOT (Delaware Department of Transportation), retiring in 1999. At that time he was associated with Lutheran Senior Services of Dover, an organization dedicated to providing housing for low-income seniors since 1979. In fact, Ken was one of its founding fathers. Luther Towers was originally started in Wilmington by another group of highly dedicated individuals. One of the leaders from that group came to Dover and helped Ken’s organization get started. They applied for funding from HUD and by the end of 1980, opened their first building. Lutheran Senior Services did not stop there. They procured additional funding and by 2004, selected Horst Construction to head up their expansion plans to complete a series of new apartment buildings—Luther Village I, II, and III. There was an approximately ten-year span between the start of Luther I and the completion of Luther III. To date, there are three buildings plus an extended corridor for activities and catering. All three are connected with covered walkways. Luther #1 is a 3-story structure that opened in 2005 and has 72 apartments. At that time, electric service, water, and natural gas were brought on site for the entire future campus. Luther #2 is a 2-story structure that opened in 2009 and has 32 apartments; and Luther #3 is a 4-story structure that opened in 2015 with 46 apartments, as well as the activity corridor. Luther I and II are HUD subsidized; and while Luther III is not, it is still considered to be low-income senior housing. The land development was originally approved for eight apartment buildings and one community center, allowing for future growth of this property. A loop road and parking lots completed the campus for the time being. Interestingly, Horst had to bring 600-700 truckloads of sandy fill for Luther #3 and its parking lot. The partnership between Horst and Luther continues to grow an affordable senior housing community for the seniors of Dover and beyond, with additional buildings being planned for future expansion.